Sunday’s Alec Siemon is rolling on our Elite Wheels! Smash that play button to check out the rest of his bike. Video by Ride BMX. Hit play to check out Ethan Corriere’s opening section from the Common Crew‘s Monster Mash full length. His ender clips in this are bonkers! Ethan and his boy Gordon MacDonald hit the streets and turned around a quick round of flames for your viewing enjoyment. Click play. Our Rollcage Rims are now available in Hot Pink. Hit up your favorite dealer to get a pair. This year’s March Madness warehouse sale/jam at Full Factory went down over the weekend, and it was a great time. Our boy Ethan Corriere was on hand to hook the winner up of the up/down rail challenge with our new GSport Elite FC Wheel. Hit play to watch out the full recap courtesy of Ride BMX and Ryan Fudger. Shoutout to everyone who came through! Chad put together an edit for us doing what he does best. Hit play to watch some big gaps and drops with style to boot. Chad rides our Birdcage Rims. 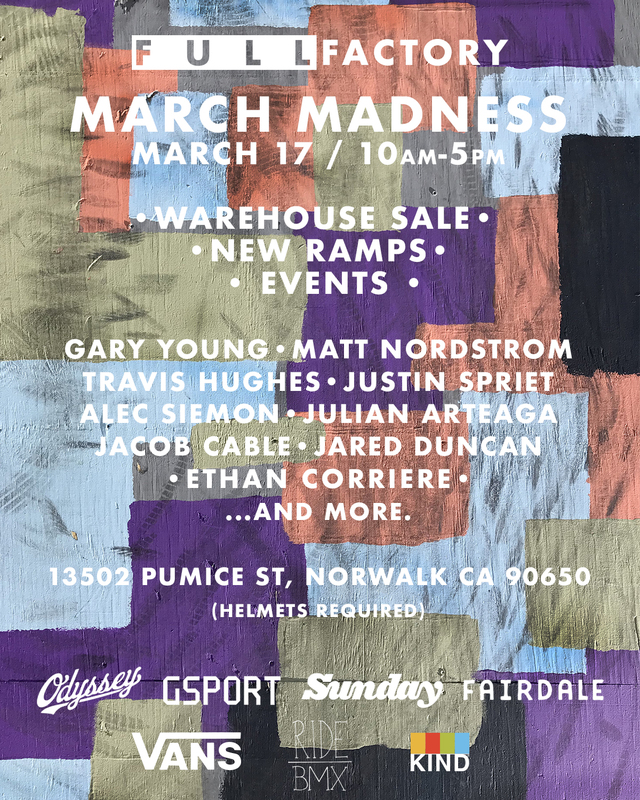 Full Factory’s annual March Madness is going down on Saturday March 17th from 10AM to 5PM. Come ride the new ramps with our dude Ethan Corriere and grab some good deals. Ethan joins the rest of the crew and helps break the new ramps in with a proper session. Video by Ride BMX. Props returned in late 2017 for a brand new Issue 79 in support of Chris Hallman #fuckcancer. Bob Scerbo filmed this DITL with legend Van Homan. Edited by Chris Rye. If you take our Rollcage rim and lace it to Odyssey’s Clutch v2 Freecoaster hub, you’ll end up with one of the best BMX freecoaster wheels you can get. 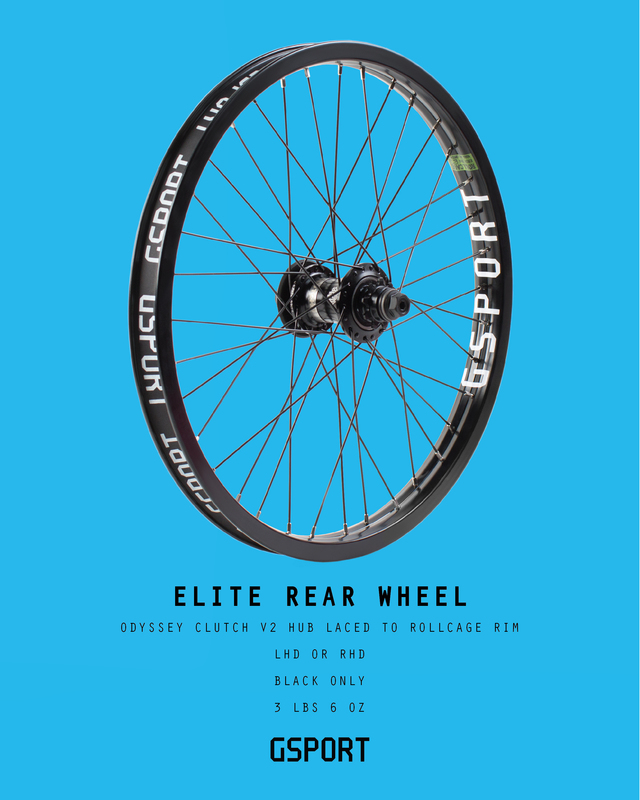 It’s the perfect match to our Elite v2 Front Wheel.